The street Panepistimiou is officially named Eleftheriou Venizelou but nobody calls it that. 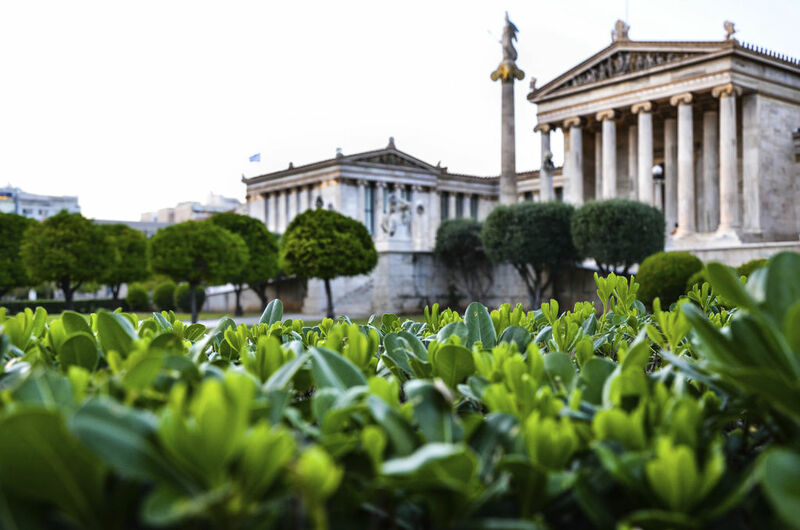 It is home to a few gems of Greek neo-Classicism: the National Library (1887-1902), the University (1839-1864) and the Academy (1859-1887). It is also where the Numismatic Museum is located.